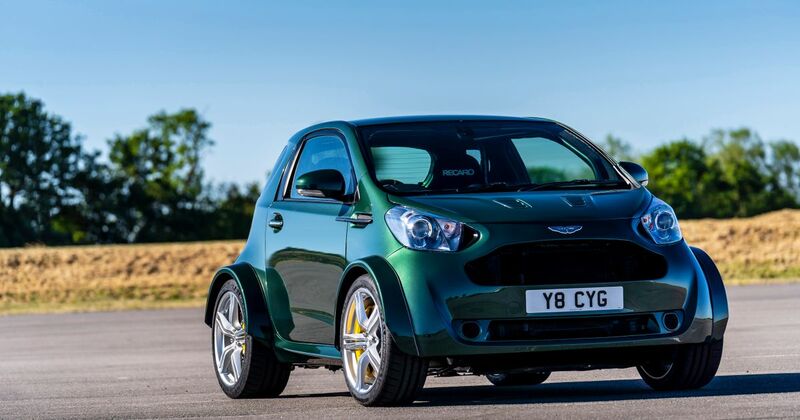 The Cygnet isn’t exactly a high point in Aston Martin’s history, is it? Little more than a cynical money spinner (it wasn’t anything to do with emissions figures, as claimed by many at the time of release), we were happy to see the back of the Toyota iQ-based thing when it was discontinued amid low sales in 2012. Now though, the Cygnet has been given a shot at redemption. Aston Martin’s Q branch has created a one-off version with an engine that’s a little more Aston-y than a 1.3-litre inline-four: a 4.7-litre naturally-aspirated V8 pinched from the old Vantage S.
The reason? Because - unbelievably - a customer asked for it. Given the nature of the project there’s no word on cost, but given the highly bespoke nature of the work, it won’t have been cheap. Whoever the customer is, we’re doffing our metaphorical caps in his or her direction. 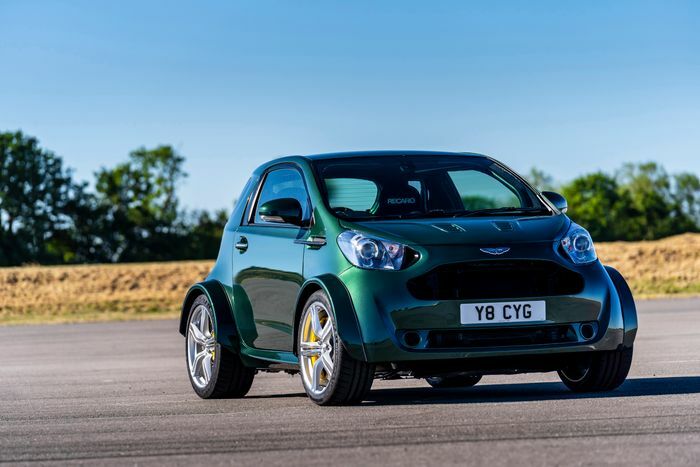 A right-hand drive Cygnet body shell was sourced for the build, into which a roll cage was welded, “becoming an integral part of the chassis in the process,” Aston Martin says. A new bulkhead and transmission had to be fabricated to fit the engine in. The track has been widened considerably, with carbonfibre composite arch extensions added to cover the 19-inch, five-spoke alloy wheels. Thankfully the brakes have been upgraded, with six-piston monoblock calipers squeezing 380mm discs at the front, and four-piston calipers married to 330mm discs at the rear. The suspension setup features double wishbones at the front and rear. 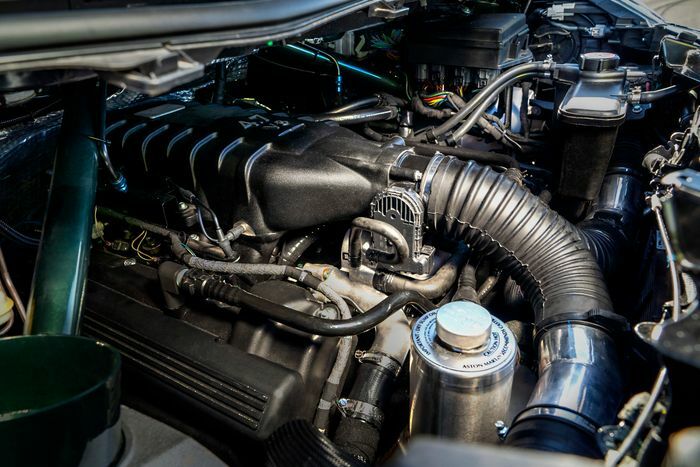 The V8 hasn’t been detuned for this very special Cygnet, meaning it still outputs 430bhp and 316lb ft of torque, all of which is sent rearwards via a seven-speed ‘Sportshift II’ sequential gearbox. It’ll be nicely loud too, thanks to the V8 Cygnet’s bespoke twin-exit exhaust system. It’s put a fair bit of weight on, now tipping the scales at 1375kg. But that’s still less than a Vanquish S weighs, so hilariously, it actually accelerates faster than the car it borrows its power plant from. 0-60mph takes 4.2 seconds, and the top speed is 170mph. 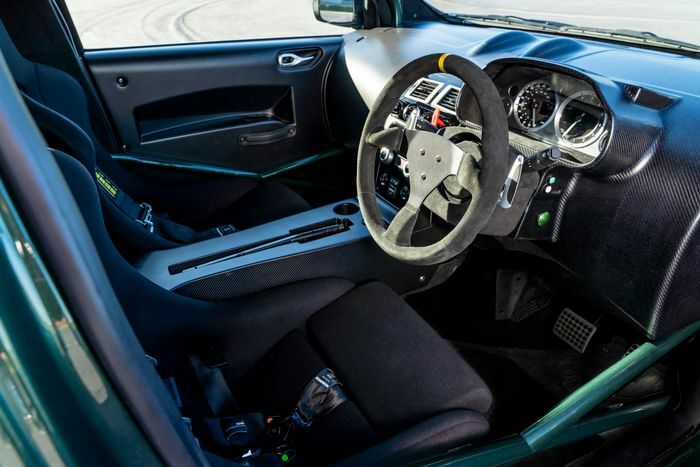 In the cabin you’ll find a pair of composite Recaro bucket seats - each with a four-point harness - a removable Alcantara steering wheel and a new carbonfibre dashboard. The instrument cluster has been taken from the Vantage. But it does still have some luxuries, including leather trim, air conditioning and two USB ports. 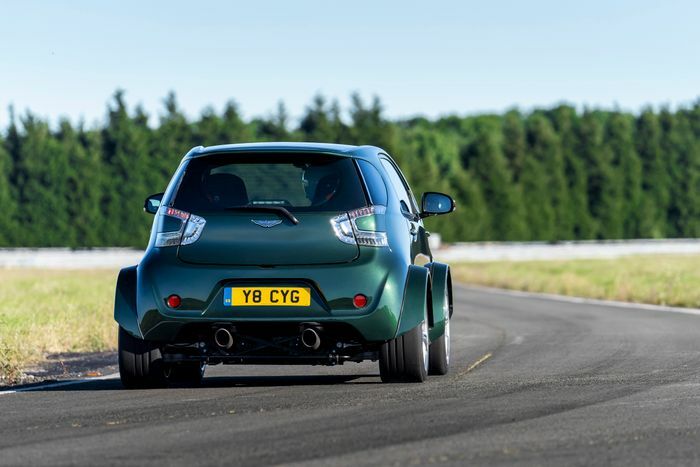 The Cygnet V8 will make its public debut at the Goodwood Festival of Speed this weekend, where it’ll be noisily making its way up the famous hill climb.